The Wright brothers, Orville and Wilbur were two Americans who are generally credited with inventing and building the world’s first successful airplane and making the first controlled, powered and sustained heavier-than-air human flight on December 17, 1903. In the two years afterward, they developed their flying machine into the first practical fixed wing aircraft. Although not the first to build and fly experimental aircraft, the Wright brothers were the first to invent aircraft controls that made mechanical fixed wing flight possible. The brothers fundamental breakthrough was their invention of “three axis control,” which enabled the pilot to steer the aircraft effectively and to maintain its equilibrium. This method became standard on fixed wing aircraft of all kinds. From the beginning of their aeronautical work, the Wright brothers focused on unlocking the secrets of control to conquer “the flying problem,” rather than developing more powerful engines as some other experimenters did. Their careful wind tunnel tests produced better aeronautical data than any before, enabling them to design and built wings and propellers more effective than any before. They gained the mechanical skills essential for their success by working for years in their shop with printing presses, bicycles, motors and other machinery. 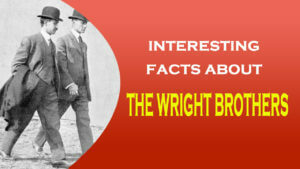 The Wright brothers status as inventors of the airplane has been subject to counter-claims by various parties. 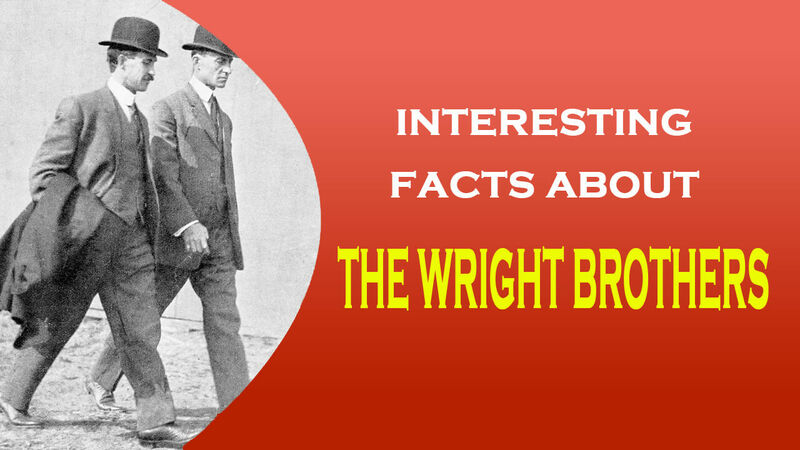 The Wright brothers were two of seven children born to Milton Wright and Susan Catherine Koerner. Wilber Wright was born near Millville, Indiana in 1867; Orville in Dayton, Ohio in 1871. Wilbur and Orville played with it until it broke, then built their own. In later years, they pointed to their experience with the toy as the initial spark of their interest in flying. Both brother received high school educations, but did not receive diplomas. Orvill dropped out after his junior year to start a printing business in 1889, having designed and built his own printing press with Wilbur’s help. Wilbur joined the print shop, serving as editor while Orville was publisher of the weekly newspaper the West Side News, followed, for only a few months, by the daily Evening Item. Capitalizing on the national bicycle craze, they opened a repair and sales shop in 1892 and began manufacturing their own brand in 1896. They used this endeavor to fund their growing interest in flight. In the early or mid 1890s they saw newspaper or Magazine articles and probably photographs of the Dramatic glides by Otto Lilienthal in Germany. The year 1896 brought three important aeronautical rents. In May, Smithsonian Institution Secretary Samuel Langley successfully flew an unmanned steam-powered model aircraft. In the summer, Chicago engineer and aviation authority Octave Chanute brought together several men who tested various types of gliders over the sand dunes along the shore of Lake Michigan. The wright brothers always presented a unified image to the public, sharing equally in the credit for their invention. The wrights did all the theoretical work and most of the hands-on construction. Despite Lilienthal’s fate, the brothers favored his strategy-to practice gliding in order to master the art of control before attempting motor-driven flight. The Wright brothers thus differed sharply from more experienced practitioners of the day, notably Ader, Maxim and Langley who built powerful engines, attached them to airframes equipped with unproven control devices, and expected to take to the air with no previous flying experience. Based on observation, Wilbur concluded that birds changed the angle of the ends of their wings to make bodies roll right or left. The brother decided this would also be a good way for a flying machine to turn-to “bank” or “lean” into the turn just like a bird and just like a person riding a bicycle, an experience with which they were thoroughly familier. The Wright brothers, wanted the pilot to have absolute control. For that reason, their early designs made no concessions toward built-in stability. They deliberately designed their 1903 first powered flyer with anhedral wings, which are inherently unstable, but less susceptible to upset by gusty sidewinds. Towards flight- In July, 1899 Wilbur put wing warping the test by building and flying and five foot box kite the approximate shape of a biplane. In 1900 the brothers journeyed to Kitty Hawk, North Carolina to begin their manned gliding experiments. They chose the location based on advice from Octave Chanute, who suggested a sandy coastal area for regular breezes and a soft landing surface. Chanute experiments at Lake Michigan into something of a circus. The gliders – They based the design of their first full-size glider on the work of their recent predecessors the Chanute-Herring “double-decker,” a biplane hang glider which flew well in the 1896 experiments near Chicago; and aeronautical data on lift that Lilienthal had published. According to some Wright biographers, Wilbur probably did all the gliding until 1902, perhaps to exercise his authority as older brother and to protect Orville from harm. 1900 Glider-The brothers flew the glider only a few days in the early autumn of 1900 at Kitty Hawk. In the first tests, probably Oct. 3, Wilbur was aboard while the glider flew as a kite not far above the ground with men below holding tether ropes. Most of the kite tests were unpiloeted with sandbags or chains as onborard ballest. They tested wing-wraping using control ropes from the ground. The glider was also tested unmanned while supended from a small homemade tower. Wilbur (but not Orvill) made about a dozen free Ulides on only a single day. For those tests, the brothers trekked four miles south to the Kill Devil Hills. Although the glider’s lift was less than expected, the brothers were encouraged because the craft’s front elevator worked well and they had no accidents. The pilot lay flat on the lower wing, as planned, to reduce aerodynamic drag. As a glide ended, the pilot was supposed to lower himself to a vertical position through an opening in the wing and land on his feet with his arms wrapped over the framework. Within a few glides, however, they discovered the pilot could remain prone on the wing, headfirst, without undue danger when landing. They made all their flights in that position for the next five years. 1901 Glider-Hoping to improve lift, they built the 1901 glider with a much larger wing area and made 50 to 100 flights in July and August for distances made of 20 to 400 feet (120 m). The glider stalled a few times, out the parachute effect of the forward elevator allowed Wilbur to make a safe flat or “pancake” landing, instead of a nose-dive. These incidents wedded the Wrights even more strongly to the canard design, which they did not give up until 1910. In 1903, the brothers built the powered Wright Flyer I, using their preferred material for construction, spruce, a strong and lightweight wood. They thought propeller design would be a simple matter and intended to adapt data from shipbuilding. However, their library research disclosed no established formulas for either marine or air propellers, and they found themselves with no sure starting point. They discussed and argued the question, sometimes heatedly, until they concluded that an aeronautical propeller is essentially a wing rotating in the vertical plane. The Wrights decided on twin “pusher” propellers , which would act on a greater quantity of air than a single relatively slow propeller and not disturb airflow over the leading edge of the wings. Wilbur made a March, 1903 entry in his notebook indicating the prototype propeller was 66% efficient. The Wrights wrote to several engine manufacturers, but none met their need for a sufficiently lightweight powerplant. They turned to their talented shop mechanic, Charlie Taylor, who built an engine in just six weeks in close consultation with the brothers. Follwing repairs, the Wrights finally took to the air on December 17, 1903, making two flights each from level ground into a freezing headwind gusting to 27 miles (43 km) an hour. The first flight, by Orville, of 120 feet in 12 seconds, at a speed of only 6.8 mph over the ground, was recorded in a famous photograph. The next two flights covered approximately 175 and 200 feet by Wilbur and Orville respectively. Their altitude was about ten feet above the ground. Here is Orville Wright’s account of the final flight of the day. Wilbur started the fourth and last flight at just about 12 o’ clock. The first few hundred feet were up and down, as before, but by the time three hundred feet had been covered, the machine was under much better control. After the men hauled the Flyer back from its fourth flight, a powerful gust of wind flipped it over several times, despite the crew’s attempt to hold it down. Several times, despite the crew’s attempt to hold it down. Severely damaged, the airplane never flew again. The brothers shipped it home , and years later Orville restored it, lending it to several U.S. locations for display, then to a British museum, before it was finally installed in the Smithsonian Institution in Washington, D.C. in 1948. In 1904 the brothers built the Flyer Hand set up an field at Huffman Prairie, a cow pasture eight miles northeast of Dayton which bank president Torrance Huffman let them use rent-free. The Wrights were glad to be free from the distraction of reporters. After the Kitty Hawk powered flights, the Wrights made a decision to begin withdrawing from the bicycle business so they could devote themselves to creating and marketing a practical airplane. During the spring and summer they suffered many hard landings, real erackups, repeated Flyer damage, and bodily bumps and bruises. On August 13, making an unassisted takeoff, Wilbur finally exceeded their best Kitty Hawk effort with a flight of 1,300 feet. On September 20, 1904 Wilbur flew the first complete circle in history by a manned heavier than air powered machine, covering 4,080 feet in about a minute and a half. Their two best flights were November 9 by Wilbur and December 1by Orville, each exceeding five minutes and covering about three miles in almost four circles. By the end of the year the brothers had accumulated about 50 minutes in the air 105 flights over the rather soggy 85 acre pasture, which, remarkably,is virtually unchanged today from its original condition is now part of Dayton Aviation Heritage National Historical Park, adjacent to Wright –Patterson Air Force Base. The Wright brothers were certainly complicit in the lack of attention they received. Wary of the competition stealing their plans, after 1905 they refused to make public flights or take part in air shows unless they had a firm contract to sell their airplane. They attemptd to interest the military in the U.S., France, Britain, and Germany, but were rebuffed because they insisted on a signed contract before giving a demonstration. The Wright brothers continued their work in semi-obscurity, while other aviation pioneers like Brazilian Alberto Santos Dumont and American Glenn Curtiss entered the limelight. The Wright brothers made no flights at all in 1906 and 1907 while they pursued fitful negotiations with the U.S. and European governments. For safety, and as a promise to their father Wilbur and Orville did not fly together.